People always ask us about the costs associated with Private Pilot flight training. It’s usually the biggest deterrent towards actually obtaining a pilots license. A private pilot license in the US ranges anywhere from $7K-$15K spread out over several months up to a year (depending on the school and the aircraft rental rates). We always explain to potential students a simple fact. A pilot license is the same price as that boat you might want, that used car you’ve had your eye on, or the motorcycle that you are interested in buying. 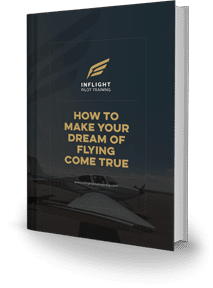 When you invest (note the word invest) into a pilot license you are not only investing into something that will last a lifetime (your license never expires), but it’s also a personal achievement and an investment into yourself that many will never experience in their short time on earth. There are about 195,000 Private Pilots in the United States (there are over 6,000,000 motorcycles registered in the US alone). Anyone can go out and buy boats, cars, and motorcycles. How many of you can actually go out and fly an airplane at your own leisure? If you enjoy traveling, a fun hobby, or a great community atmosphere then getting your pilot license is something we highly encourage you to do in your lifetime. If it’s not on your bucket list already, add getting your pilot license. Remember we are always here to make your dream a reality. We have a serious passion for general aviation, an excellent track record of producing the best and safest pilots in the country, and a commitment to keeping flying fun and affordable for all. Table doesn’t include the club buy in ($350), monthly dues ($70/Mo), or sales tax on the airplane rental. Can I Train Before I Am 16? There is no minimum age to begin flight training for your private pilot license! Some of our students are even twelve years old. As our younger students prepare to solo, there are only two requirements. They must be 16 years old to solo and they need to have a medical certificate. All student pilots, no matter their age, must have a medical physical exam by an FAA certified doctor. Once they pass their medical, they are given a medical certificate. The medical certificate is needed before the first solo. Student pilots must also be able to speak, read, write and understand English. How Long Will My Private Pilot Training Take? The length of time it takes to earn your license depends upon how often you fly. Most students fly on average 2-3 times per week. At this pace you can receive your license in as little as 3 months. We give you the tools to succeed and you make it happen by attending your lessons and progressing! The times below are the FAA minimum requirements. What is a typical flight lesson like, how long is it? With the exception of a few 2-3 hour cross-country flights, your flight lessons are 1-2 hours in length. At your request we can make them longer or shorter, but this seems to be a good time frame. When you arrive you will spend 5-10 minutes doing a preflight inspection of the airplane, then join your flight instructor for a 10-15 minute pre-flight briefing that will address review items from last time and a thorough discussion of how to accomplish this flight’s goals. The flight itself will usually last between 1 hour 10 minutes, and 1 hour 40 minutes. The flight will be followed by a post-flight briefing of today’s flight and what you can look forward to for next time. What Does Private Pilot Training Include? How does the Private Pilot Checkride work? 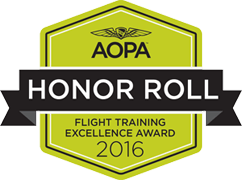 The FAA written test can be done at anytime before or during your training. It needs to be done by the time you take your checkride. The written test is comprised of 60 questions with a passing grade of 70%. Those 60 questions are pulled from a bank of just over 800 questions, we have the test prep online available here. Your checkride will be with a Designated Pilot Examiner (DPE) and will consist of two parts. The first half will be an oral examination, where you will answer questions about flying. The second half is the practical examination, where you will fly maneuvers in the airplane with the DPE. After you pass both parts, you will receive your Private Pilot License! Can I rent your planes when I’m done? Once you receive your Private Pilot License, you can rent most any single engine airplane including the plane you learned on! Bring your friends and family along because you will be able to carry passengers along for the ride. You’ll be able to fly both day/night and most anywhere you want, even internationally!